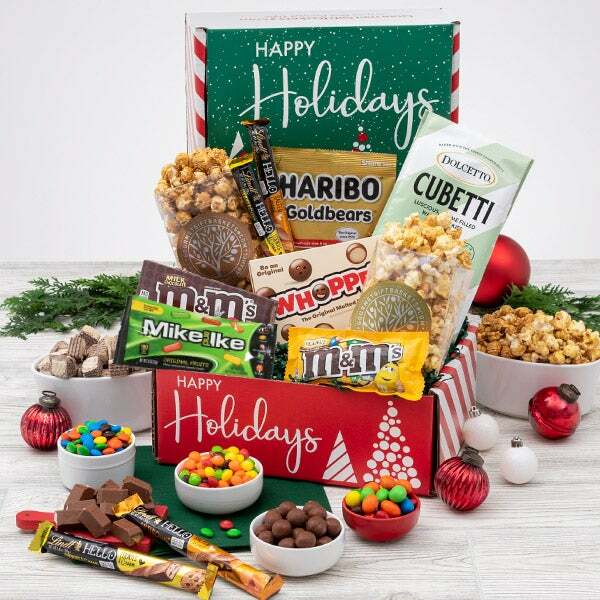 Holiday Sweets & Treats Gift Box is rated 5.0 out of 5 by 2. Rated 5 out of 5 by Momster from Friend appreciated it I sent this to a friend for the holidays and he said it was great. Rated 5 out of 5 by Happy Nate from Perfect gift and price is right I sent this gift to someone that needed a little holiday cheer. The said it was all very good, especially the fruit. 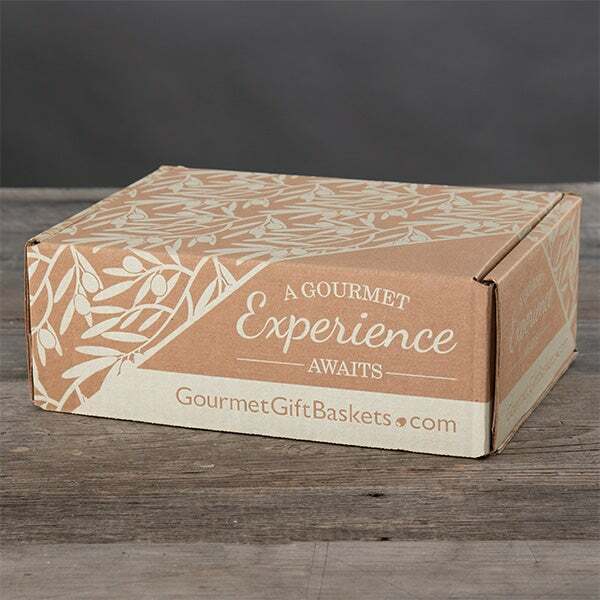 We love gifts that bring smiles to peoples' faces and this festive gift box does just that! Inside this artfully arranged gift we've united an assortment of sweet treats, such as fresh fruit and chocolate truffles, with savory cheese and cracker treats! A wonderful gift that's perfect for spreading holiday cheer! 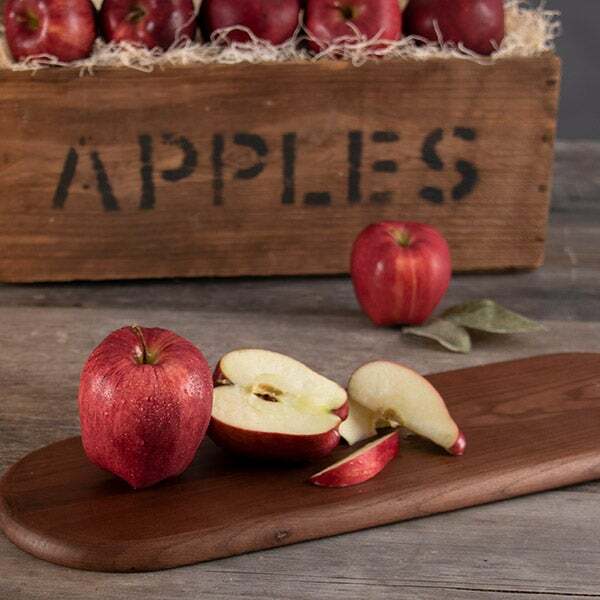 Two Red Apples - Crisp red apples straigth from the orchard. 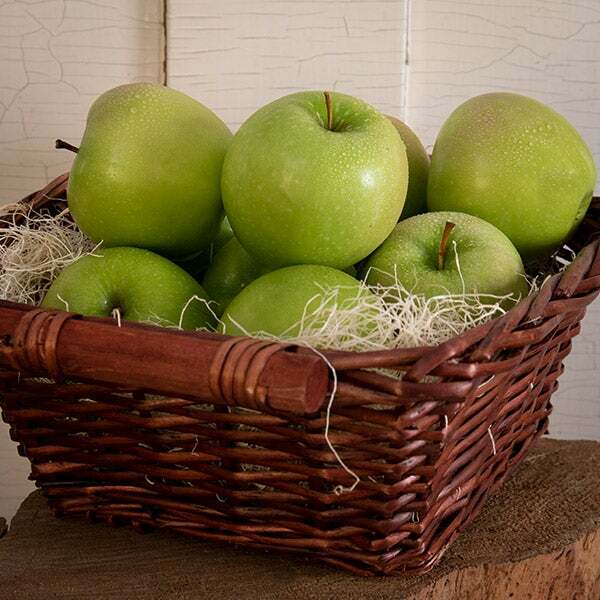 Two Green Apples - These green apples have the traditional sweetness with a little extra bite. Sea Salt & Cracked Peppercorn Water Crackers by Eleanor & Flynn - 4 oz. - Adding cheese to these peppercorn flavored crackers provides the perfect savory snack. Monterey Jack Jalapeno Cheese by Mountain View Cheese Co. - 4 oz. - A creamy cheese with the extra flavor of Jalapeno makes for a delicious treat. Milk Chocolate Truffles with Hazelnut Filling and Cereals by Soccado - .8 oz. 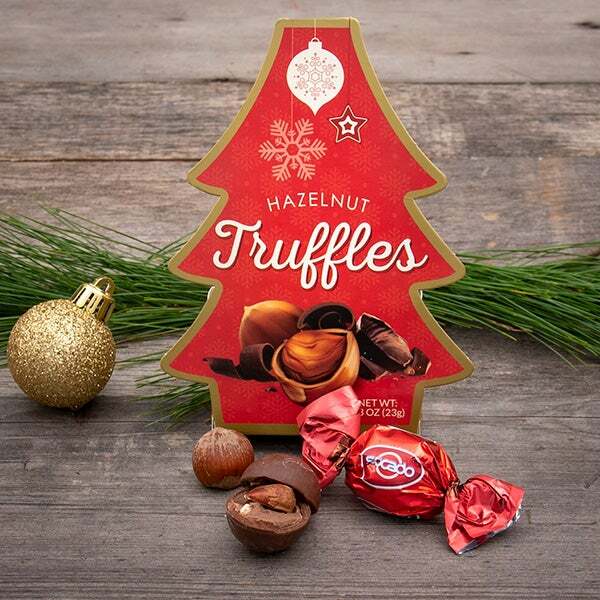 - The holidays are complete with these perfectly crafted Soccado truffles.